Natural language processing (NLP) is a branch of Artificial Intelligence (AI) that helps computers understand, interpret and manipulate human language. 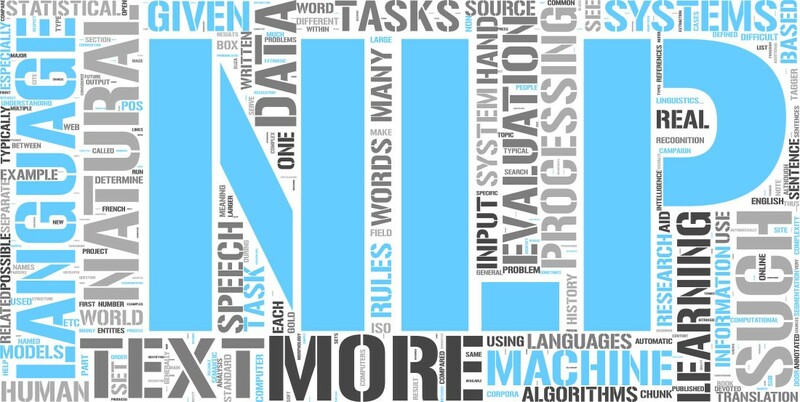 NLP draws from many disciplines, including computer science and computational linguistics, in its pursuit to fill the gap between human communication and computer understanding. Indeed, programmers used punch cards to communicate with the first computers 70 years ago. This manual and arduous process was understood by a relatively small number of people. Now you can say, “Alexa, I like this song,” and a device playing music in your home will lower the volume and reply, “OK. Rating saved,” in a human-like voice. Then it adapts its algorithm to play that song – and others like it – the next time you listen to that music station. The history of natural language processing generally started in the 1950s, although work can be found from earlier periods. In 1950, Alan Turing published an article titled “Intelligence” which proposed what is now called the Turing test as a criterion of intelligence. The Georgetown experiment in 1954 involved fully automatic translation of more than sixty Russian sentences into English. The authors claimed that within three or five years, machine translation would be a solved problem. However, real progress was much slower, and after the ALPAC report in 1966, which found that ten-year-long research had failed to fulfill the expectations, funding for machine translation was dramatically reduced. Little further research in machine translation was conducted until the late 1980s, when the first statistical machine translation systems were developed. Some notably successful natural language processing systems developed in the 1960s were SHRDLU, a natural language system working in restricted “blocks worlds” with restricted vocabularies, and ELIZA, a simulation of a Rogerian psychotherapist, written by Joseph Weizenbaum between 1964 and 1966. Using almost no information about human thought or emotion, ELIZA sometimes provided a startlingly human-like interaction. When the “patient” exceeded the very small knowledge base, ELIZA might provide a generic response, for example, responding to “My head hurts” with “Why do you say your head hurts?”. During the 1970s, many programmers began to write “conceptual ontologies”, which structured real-world information into computer-understandable data. Examples are MARGIE (Schank, 1975), SAM (Cullingford, 1978), PAM (Wilensky, 1978), TaleSpin (Meehan, 1976), QUALM (Lehnert, 1977), Politics (Carbonell, 1979), and Plot Units (Lehnert 1981). During this time, many chatbots were written including PARRY, Racter, and Jabberwacky. Up to the 1980s, most natural language processing systems were based on complex sets of hand-written rules. 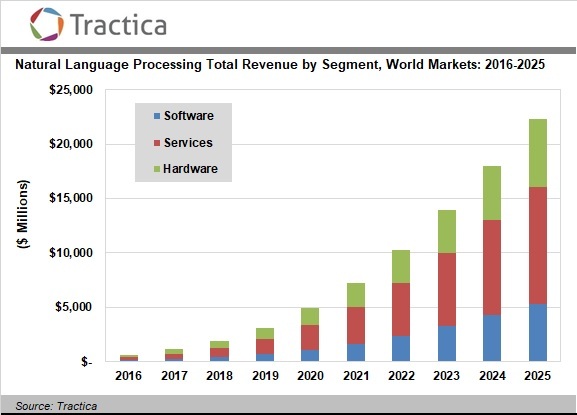 Starting in the late 1980s, however, there was a revolution in natural language processing with the introduction of machine learning algorithms for language processing. This was due to both the steady increase in computational power (see Moore’s law) and the gradual lessening of the dominance of Chomskyantheories of linguistics (e.g. transformational grammar), whose theoretical underpinnings discouraged the sort of corpus linguistics that underlies the machine-learning approach to language processing. Some of the earliest-used machine learning algorithms, such as decision trees, produced systems of hard if-then rules similar to existing hand-written rules. However, part-of-speech tagging introduced the use of hidden Markov models to natural language processing, and increasingly, research has focused on statistical models, which make soft, probabilistic decisions based on attaching real-valued weights to the features making up the input data. The cache language models upon which many speech recognition systems now rely are examples of such statistical models. Such models are generally more robust when given unfamiliar input, especially input that contains errors (as is very common for real-world data), and produce more reliable results when integrated into a larger system comprising multiple subtasks. 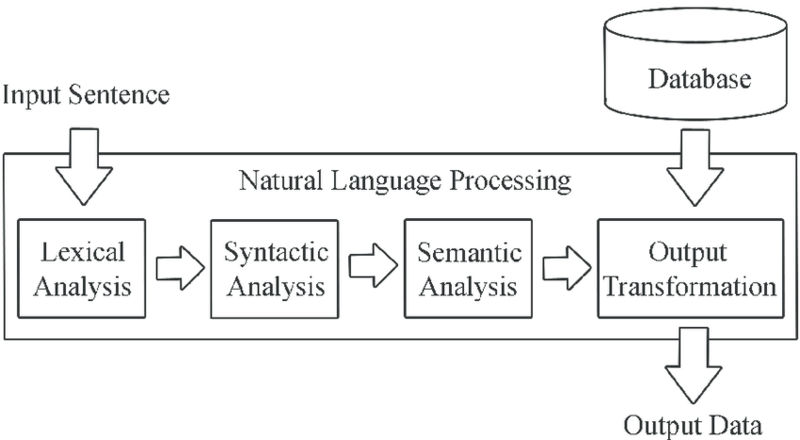 Basic NLP tasks include tokenization and parsing, lemmatization/stemming, part-of-speech tagging, language detection and identification of semantic relationships. If you ever diagrammed sentences in grade school, you’ve done these tasks manually before. The input to natural language processing will be a simple stream of Unicode characters (typically UTF-8). 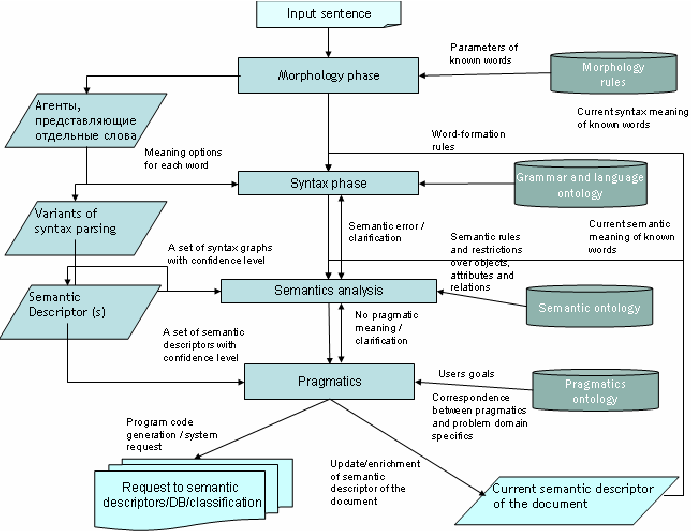 Basic processing will be required to convert this character stream into a sequence of lexical items (words, phrases, and syntactic markers) which can then be used to better understand the content. Identify and mark sentence, phrase, and paragraph boundaries – these markers are important when doing entity extraction and NLP since they serve as useful breaks within which analysis occurs. Open source possibilities include the Lucene Segmenting Tokenizer and the Open NLP sentence and paragraphboundary detectors. Language identification – will detect the human language for the entire document and for each paragraph or sentence. Language detectors are critical to determine what linguistic algorithms and dictionaries to apply to the text. Open source tokenizers include the Lucene analyzers and the Open NLP Tokenizer. Basis Technology offers a fully featured language identification and text analytics package (called Rosette Base Linguistics) which is often a good first step to any language processing software. It contains language identification, tokenization, sentence detection, lemmatization, decompounding, and noun phrase extraction. NLP tools include tokenization, acronym normalization, lemmatization (English), sentence and phrase boundaries, entity extraction (all types but not statistical), and statistical phrase extraction. These tools can be used in conjunction with the Basis Technology’ solutions. Acronym normalization and tagging – acronyms can be specified as “I.B.M.” or “IBM” so these should be tagged and normalized. Lemmatization / Stemming – reduces word variations to simpler forms that may help increase the coverage of NLP utilities. Lemmatization uses a language dictionary to perform an accurate reduction to root words. Lemmatization is strongly preferred to stemming if available. Stemming uses simple pattern matching to simply strip suffixes of tokens (e.g. remove “s”, remove “ing”, etc.). The Open Source Lucene analyzers provide stemming for many languages. Decompounding – for some languages (typically Germanic, Scandinavian, and Cyrillic languages), compound words will need to be split into smaller parts to allow for accurate NLP. Basis Technology’s solution has decompounding. Regex extraction – good for phone numbers, ID numbers (e.g. SSN, driver’s licenses, etc. ), e-mail addresses, numbers, URLs, hashtags, credit card numbers, and similar entities. Dictionary extraction – uses a dictionary of token sequences and identifies when those sequences occur in the text. This is good for known entities, such as colors, units, sizes, employees, business groups, drug names, products, brands, and so on. Complex pattern-based extraction – good for people names (made of known components), business names (made of known components) and context-based extraction scenarios (e.g. extract an item based on its context) which are fairly regular in nature and when high precision is preferred over high recall. Statistical extraction – use statistical analysis to do context extraction. This is good for people names, company names, geographic entities which are not previously known and inside of well-structured text (e.g. academic or journalistic text). Statistical extraction tends to be used when high recall is preferred over high precision. Hybrid – uses both techniques together and tends to be the most accurate method. Macro Understanding – provides a general understanding of the document as a whole. Micro Understanding – extracts understanding from individual phrases or sentences. Note that, while micro understanding generally contributes to macro understanding, the two can be entirely different. For example, a résumé (or curriculum vitae) may identify a person, overall, as a Big Data Scientist [macro understanding] but it can also identify them as being fluent in French [micro understanding]. Not all natural language understanding (NLP) projects are possible within a reasonable cost and time. Identifying relationships such as business relationships, target / action / perpetrator, etc. Extracting rules or requirements, such as contract terms, regulation requirements, etc. Micro understanding must be done with syntactic analysis of the text. This means that order and word usage are important. Disadvantages – hard to construct rules, brittle, often fails with variant input, may still require substantial pattern matching even after parsing. In the deep understanding graph, notice how all of the modifiers are linked together. Also notice that a second step (which requires custom programming) is required to take this graph and identify object / action relationships suitable for exporting to a graph or relational database. 2. Bottoms Up – create lots of patterns, match the patterns to the text and extract the necessary facts. Patterns may be manually entered or may be computed using text mining. 3. Statistical – similar to bottoms-up, but matches patterns against a statistically weighted database of patterns generated from tagged training data. Note that these patterns may be entered manually, or they may be derived statistically (and weighted statistically) using training data or inferred using text mining and machine learning. 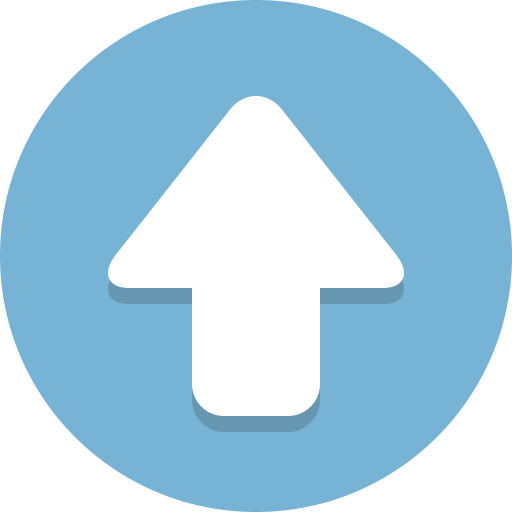 Co-reference resolution – sentences often refer to previous objects. This can include the references below. In all of these cases, the desired data refers to a previous, more explicitly defined entity. To achieve the highest possible coverage, your software will need to identify these back references and resolve them. Such lists often break NLP algorithms and may require special handling which exists outside the standard structures. Handling embedded structures such as tables, markup, bulleted lists, headings, etc. Note that structure elements can also play havoc with NLP technologies. Make sure that NLP does not match sentences and patterns across structural boundaries. For example, from one bullet point and into the next. Make sure that markup does not break NLP analysis where it shouldn’t. For example, embedded emphasis should not cause undue problems. Acquiring content from the Internet and then extracting information from that content will likely involve many steps and a large number of computational stages. It is important to provide traceability (provenance) for all outputs so that you can carefully trace back through the system to identify exactly how that information came to be. By saving this information throughout the process, you can trace back from the outputs all the way back to the original web page or file which provided the content that was processed. This will allow you to answer the question “Where did this come from?” with perfect accuracy, and will also make it possible to do quality analysis at every step. Many of these processes can be mind-numbingly repetitive. In a large-scale system, you will need to consider the human element and build that into your NLP system architecture. It is not uncommon for medical personnel to pore over various sources trying to find the best viable treatment methods for a complex medical condition, variations of certain diseases, complicated surgeries, and so on. Diagnostic assistance: Another near-term and practical NLP application in healthcare, is diagnostic assistance. For example, a radiologist looking at a report could take the help of AI to pull up diagnostic guidelines from the American College of Radiology database. The AI system will periodically ask the medical examiner clarifying questions to make appropriate, relevant diagnostic suggestions. Current virtual AI assistants (such as Siri, Alexa, Echo, etc.) understand and respond to vocal commands in a sequence. That is, they execute one command at a time. However, to take on more complex tasks, they have to be able to converse, much like a human. The AI would be able to comprehend the command, divide the complex task into simpler subtasks and execute them. To achieve this, the virtual assistant would have to consult the calendars of both the user and the friend to determine a common time when they are both available, know the end time of the last meeting on the specified day or date, check the availability of restaurants, present the user with the list of nearby restaurants, etc. The user would be able to review the AI’s suggestions and amend it, after which the AI can create the event in the user’s calendar. The automotive industry, particularly cars, as a “preeminent AI platform.” Automotive is a fast-moving consumer tech area, and car OEMs are evolving fast. Cars will be increasingly used as autonomous robots whose transportational capabilities could be augmented with other onboard computational capabilities and sensors. “Futuristic connected vehicle technology] will not just be a transportation assistant or an autonomous driver but it could also be the user’s personal DJ, concierge, mobile office, navigator, co-pilot, etc.” For example, the user could tell the car to stop at a flower shop on the way home, and the car will have to figure out how to do that. The user should be able to do this while the music is playing or when the co-passengers are talking (either to their virtual assistant or among themselves). Another example that could make his vision a possibility in the future is that of a car AI being able to independently communicate with the driver’s home AI systems to delegate certain commands it can’t carry out by itself. 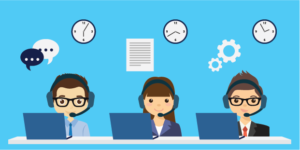 In the customer service field, advanced NLP technologies could be used to analyze voice calls and emails in terms of customer happiness quotient, prevalent problem topics, sentiment analysis, etc. 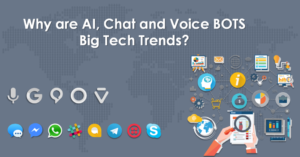 For example, NLP could be used to extract insights from the tone and words of customers in textual messages and voice calls that can be used to analyze the frequency of the problem topic at hand and which features and services receive the most complaints, etc. using clustering in NLP for broad information search, businesses can coax out patterns in the problem topics, tracking the biggest concerns among customers, etc.